Over 8.5 million people watch the AFL Grand Final every year - the highlight of Australian Rules Football. 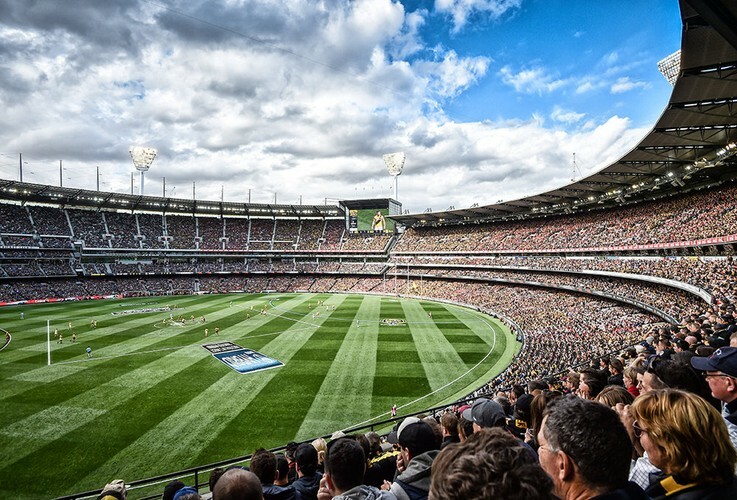 On Saturday 29 is the big day for 2018 with Collingwood and West Coast Eagles playing at the Melbourne Cricket Ground (MCG) in front of 100,000 people. We're having an Open Day where you can watch the game, eat footy food and learn about the sport so you can follow along. 1pm - Seminar: What is Australian Rules Football? Find out from one of our parishioners who was a Senior Umpire in Australia with the AFL. 4:30pm - The AFL Grand Final in our Chapel. Please note that this is a family friendly event and there will be no alcohol consumed on site.